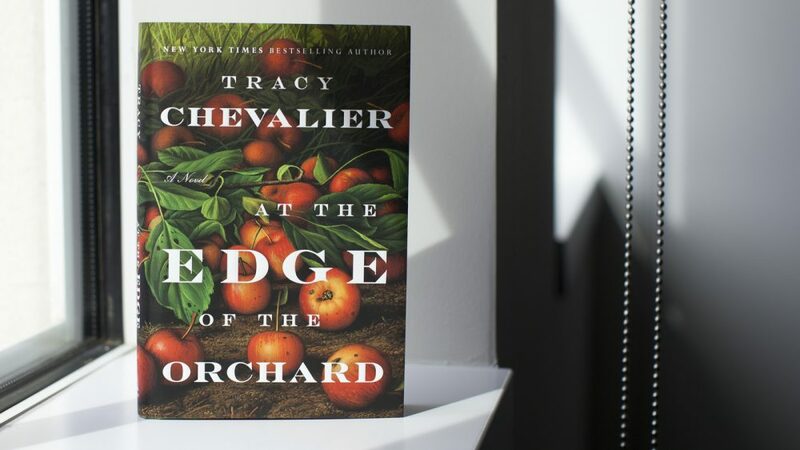 At the Edge of the Orchard is a 2016 literary fiction novel by Tracy Chevalier, the author of Girl with a Pearl Earring. This novel is dark, powerful and moving, and alternates setting between Ohio in 1838 and 1853 California. In 1838, James and Sadie Goodenough have settled into the Black Swamp, planting apple trees to claim the land as their own. Life is harsh in the swamp, and as fever picks off their children, husband and wife take solace in separate comforts. James patiently grows his sweet-tasting ‘eaters’ while Sadie gets drunk on applejack made fresh from ‘spitters’, an alcoholic refuge from brutal frontier life. Their fighting takes its toll on all of the Goodenoughs. In 1853, James and Sadie’s youngest son, Robert, is drifting through Gold Rush California and haunted by the broken family he fled from years earlier. Memories flood the book and slowly, the reader finds out how the 1838 storyline progressed and the effect it had on Robert, who was quite young at the time. This book reads like a riveting television drama, filled with fierce characters and troubling financial troubles and the sense that disaster is about the strike. Ohio’s Black Swamp is inhospitable to humans, animals, crops and trees alike, and the Goodenough family have been struggling for years to grow enough apple trees to claim their land and remain financially stable. At the Edge of the Orchard explores poverty, illness and family hostility. James and Sadie are an unlikely couple who don’t seem to share common interests, respect or compassion. They’re brutal to each other, both mentally and physically, and it takes its toll on their eldest son Robert. The novel alternates between narrative perspectives to give the reader an encompassing sense of the storyline – we get all the facts so that even though Robert may not understand all of the history, the reader does. We are subjected to alternating narrative perspectives for the course of two decades, which allows us to fill in the details bit by bit until we understand why Robert left his family behind and went running westwards. He finds employment with an English seed agent named William Lobb, but it’s clear throughout the novel that he’s a passive character. He is not active with his choices, and things happen to him not from his own actions but from the actions of those around him. He falls in and out of jobs and relationships quite easily and he doesn’t seem to have strong emotions to suggest he opposes any of the changes in his life. At the Edge of the Orchard is a slow-moving literary novel that I’d recommend to readers who love a character-driven novel. It’s a slow-burner, and information is revealed intermittently and quite subtly. This book explores what happens when humans interfere with nature; it also delves into family and relationships, and although the first third of the novel drags a little and doesn’t seem to hit the mark, the rest of the novel is quite entertaining and is worth the finish.